Here's what customers are telling us about their experience with Pepsom. 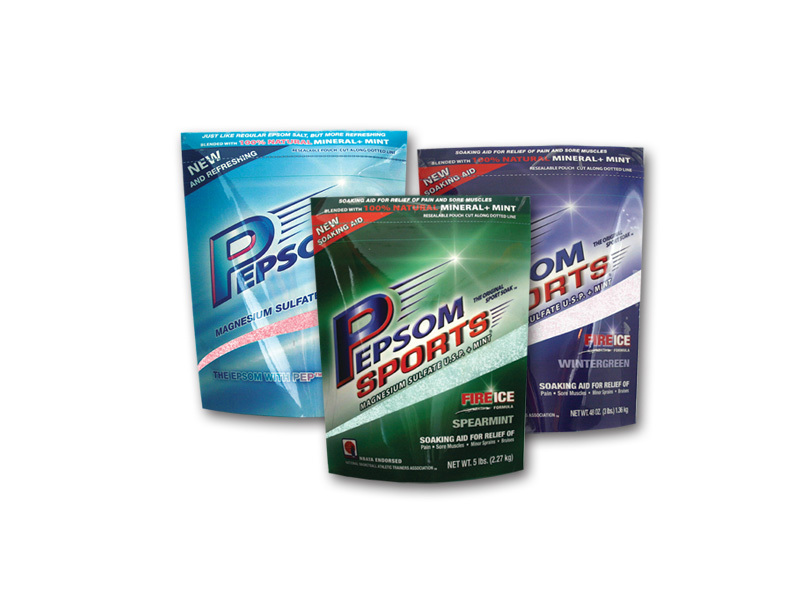 I have distributed [Pepsom Sports®] to a few of our football-athletes to utilize over the course of a 2-month period. The feedback I have received from those athletes has been very positive. They have reported that they have received relief from aches and pains and an overall improvement in muscle recovery. Just tried this last night…OMG, it worked to relieve my muscle pain due to exercising. Purchased my first small bag at the end of last week, and tried this evening. Soaked feet for 30 minutes. Very nice product, with nice green color and aroma!!! I’m a satisfied customer of Pepsom Sports salt. I’m a former collegiate athlete…I’m dealing with numerous herniated discs in my back and I’ve found your product to be the BEST on the market. I suffer from fibromyalgia and was thrilled to find your product! I am in a 12-week fitness challenge and I am going to need a lot of Pepsom Sports to soak away my muscle stiffness and soreness. Thank you! Wow, what a great product! My girlfriend has lots of leg pain throughout the day due to multiple sclerosis, and your product helps to lessen it considerably. Thank you. I love this product. I play hockey and this stuff works wonders on my sore body. This is the first time I found something that works on my sore knees. The guys on the USA Olympic water Polo team find Pepsom absolutely awesome. As one the oldest veterans of the team I can tell you that we are really fired up for your salts and appreciate the help it provides in recovering from those aching muscles – we’re soaking like kings and thanks to soaking in Pepsom, my daily training is so much better. For me as an older player heading to my 3rd Olympic Games, Pepsom has been vital for training because of our grueling 8 hours of training a day. I literally soak in it twice a day, and it seems that it really helps with faster recovery. It not only relieves my sore muscles but it cleanses my body as well. I’m glad we have cases of it now especially before we head out to London, and really believe that pros, amateurs, weekend warriors and even high school athletes should use them. We are taking our Pepsom with us! In the Los Angeles area~ we’ve been using your product for years…I’ve shared with so many about how amazing this works! I just wanted to let you know I’ve been using your product 3 weeks now and it has helped greatly, I’m a distance runner training for 5ks all the way to marathons and soaking in the salt has helped after workout and run! I have been using your epsom salt soak (Pepsom Spearmint) for about 2 years now. I have tried others, but by far, I am most satisfied with your product. I workout regularly and this product has become a part of my routine! I have “soaking” days built into my schedule depending on what my workout routine is. My muscles are not sore as long and I also soak to repair damage. I notice a difference!! I am a forever customer! Thank you again!! We have a little store and I thought this might be a great product to offer our students. We love the display. All of our parents are excited to know it’s available; our head coach used it the other night after she hurt her knee while teaching, and she says it was amazing. She says it beats Epsom salt hands down. Thank you for helping our little gym, we sure do appreciate it. My husband is a professional athlete (Daniel Graham [formerly] of the Denver Broncos) and we use this tons!…We have a huge jacuzzi tub and between me and my husband, we use a lot of this! We have two homes so I would leave one for each location. He brings home [Pepsom] salt from work…He soaks after practice and games, actually we use it all year not just during the season. We love it! Send us your thoughts and comments below!